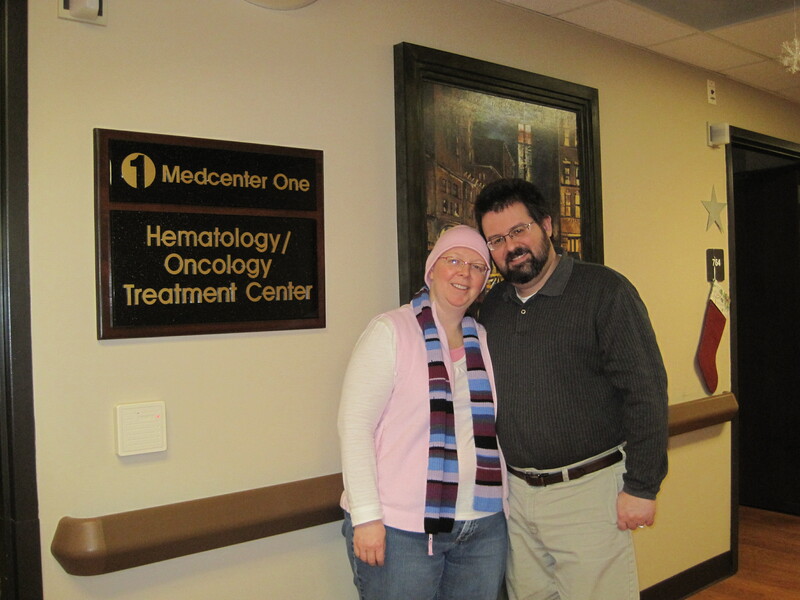 I keep reflecting on all the ups and downs of the last year, but today the best thing I remember is that one year ago today Shannon had her last chemotherapy treatment. 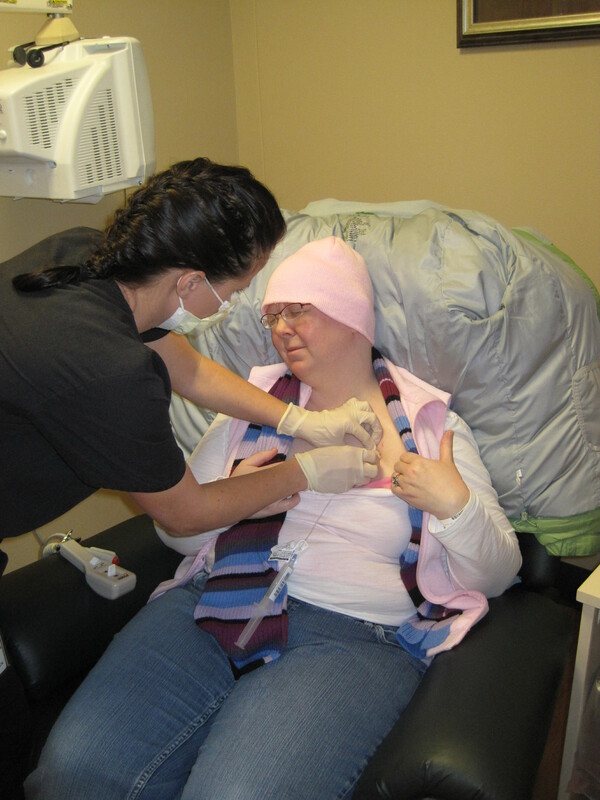 She so wanted to be done with her treatments before New Years, and she just made it. And, since the VandeVenters are never too far from their cameras, we just had to document the occasion. We were only half done (radiation was still to come), but having her last chemo on December 28 was a fabulous belated Christmas present. Nothing trumps the clean PET scan we got this year, but it is a pretty close second. As many of my friends know, I am what’s known in hirsute circles as a “Chia-American“. That is why in the pictures I have a full head of hair while Shannon is still bald from the chemo. This despite the fact that we both shaved our heads on the same day. I had an unfair advantage over her due to the chemo, but Shannon insisted that I still would have beat her without a head start. 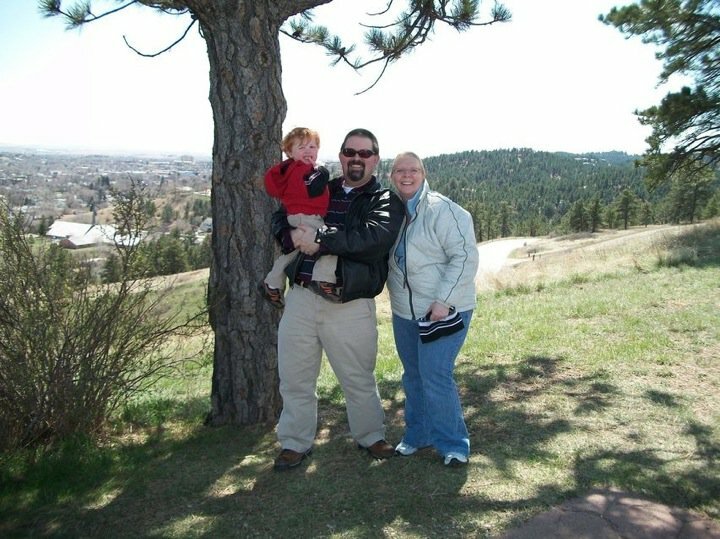 Exhibit A is this family photo we took at Dinosaur Park in Rapid City over Easter 2011. It is one of my favorite family photos. 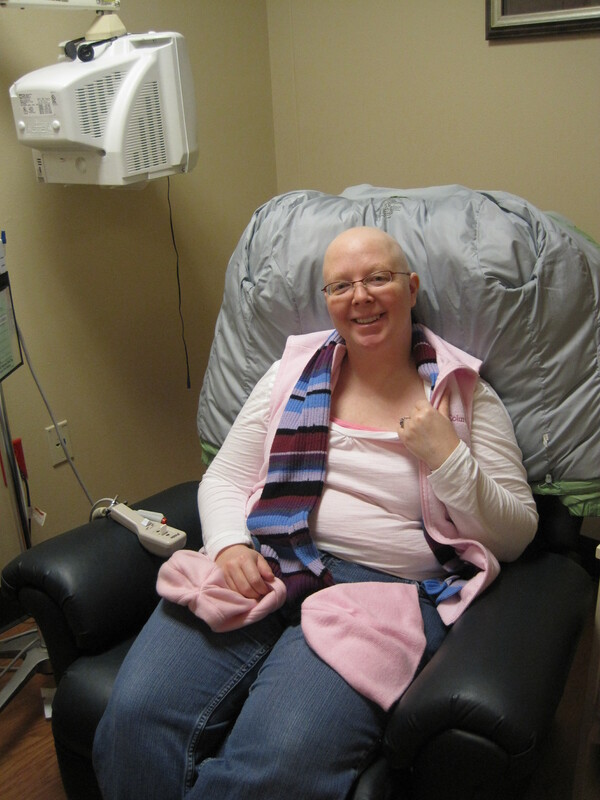 It was shortly after Shannon’s last radiation treatment, and her hair had finally gained some length. I had shaved my head (again) on March 17 for the St. Baldrick’s Foundation. You’d think that giving Shannon a head start this time would turn the tables, but our hair is about the same length. I am truly a freak of nature. Feel free to mock me. Or envy me. Your choice. Cheers and best wishes to you all for a Happy New Year. What wonderful news!!! You are a wonderful, supportive husband Chris!! 🙂 Happy New Year!